Little Italy District Condos in downtown San Diego is one of the best parts of the downtown area. 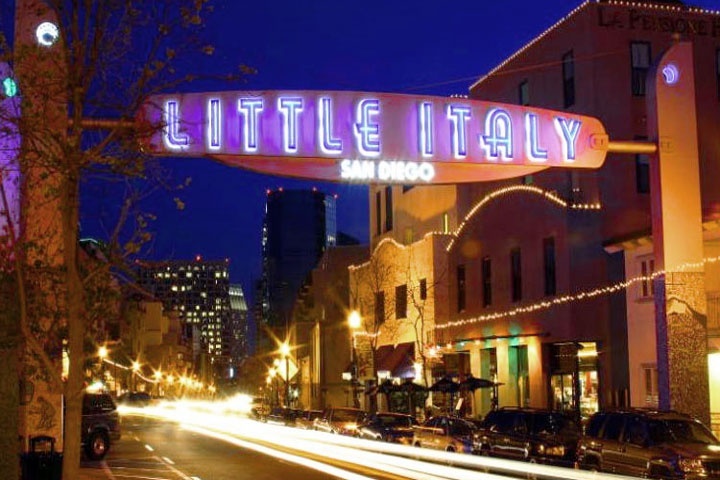 Located north of the Columbia District, Little Italy is the hidden gem in the downtown San Diego area. In the past decade, Littly Italy has come to life with small cafes, unique shops and great restaurants. In addition, an abudance of great condos and single family homes in the area. The most popular neighborhoods in Little Italy consist of: 350 West Ash, Acqua Vista, Aperture, Bella Via, Breeza, Doma, Ecco Lofts, Finestra Lofts, Hawthorn Place, Kettner Row, La Vita, Porta d'Italia, Portico, Porto Siena, Victorian House, Village Walk and Waterfront. Below are the current condos for sale in the Little Italy area. Please contact with any questions regarding any Little Italy condos. All San Diego homes and San Diego Condos for sale are also listed below in the various San Diego neighborhoods. Questions? Let our team of San Diego Realtor Associates help you. Please contact us at 1-888-990-7111 today.